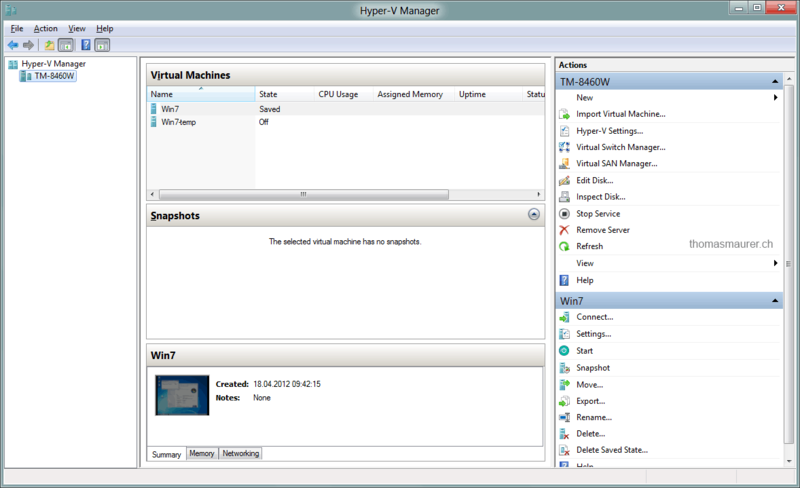 If you have installed the Windows Server 8 Beta or the Windows Server 2012 Release Candidate and have tested the new version of Hyper-V, you may have seen a new feature in the Hyper-V Manager Console called Smart Paging. 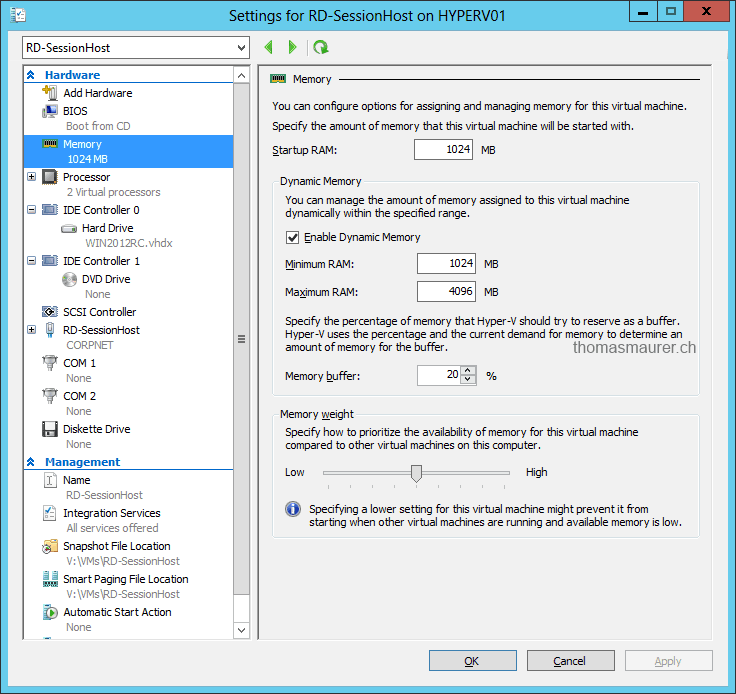 Now in Windows Server 2012 Hyper-V Microsoft improved the Dynamic Memory feature and also added a third option the minimum memory. Startup RAM – Memory during the startup process until the Dynamic Memory driver is started. 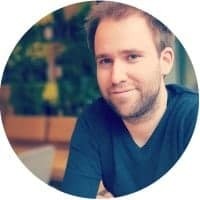 Minimum RAM – the minimum of RAM a VM can get. Maximum RAM – the maximum of RAM a VM can get. For example the VM needs 1GB of RAM to start all service properly, and after the start the memory demand can go down to 512MB you would set the Startup RAM to 1GB and the Minimum RAM to 512MB. Now with the new Minimum RAM setting there is a new problem, if the VM is running with a minimum of RAM and for example 512MB and all other memory resources of the host are used by other Virtual Machines and you restart the VM, the VM can maybe not get the full 1GB of startup memory. In this case, and this is the only case, Smart Paging is used to allocate the additional 512MB of RAM in a page file outside the Virtual Machine so all services can start properly. 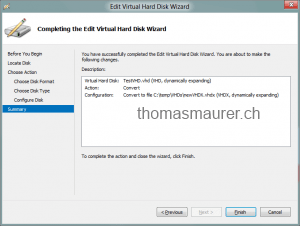 With Windows Server 2012 Microsoft released a new Virtual Disk Format called VHDX. 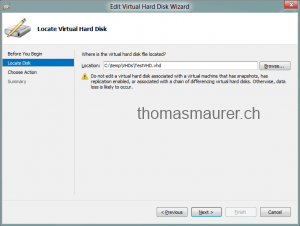 VHDX improves the Virtual Disk in a lot of way. 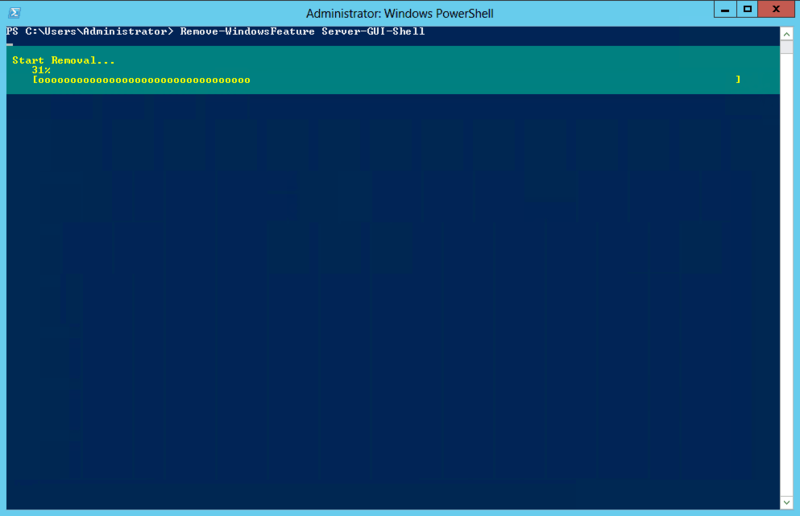 Back in October I wrote a blog post on the improvements of the VHDX Format in the Windows Server 8 Developer Preview. 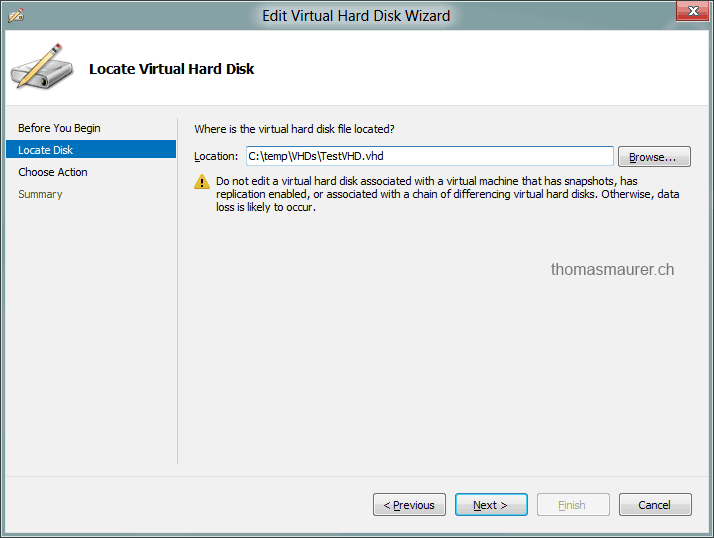 Back then VHDX supported a size of 16TB, with the release of the Windows Server 8 Beta (Windows Server 2012 beta) the new Maximum size changed to 64TB. 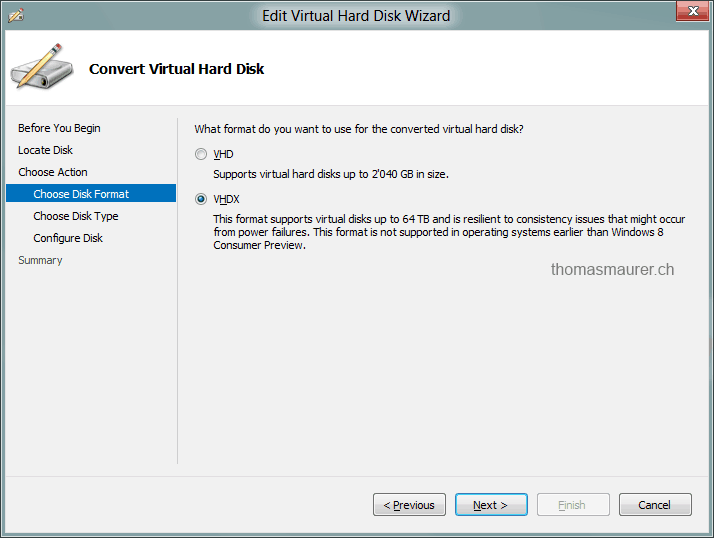 You can download the VHDX Format Specification. 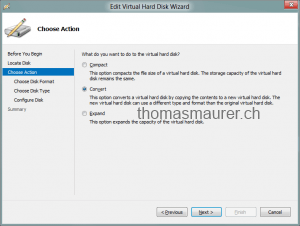 To use this new features you have to convert your existing VHDs into the new VHDX format. 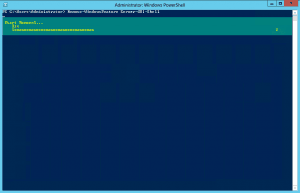 You can this do in two different ways, with the Hyper-V Manager or with Windows PowerShell. 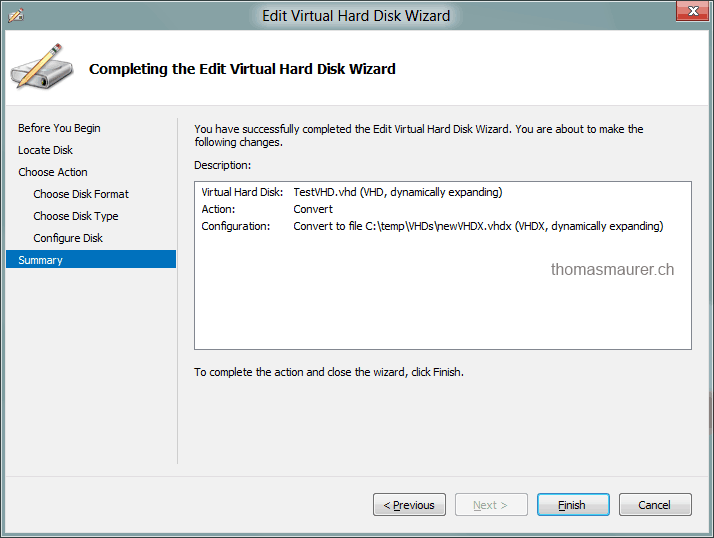 Same as with the PowerShell command, you can also convert a VHDX to a VHD. But you have to make sure that the VHDX is not bigger than 2TB. 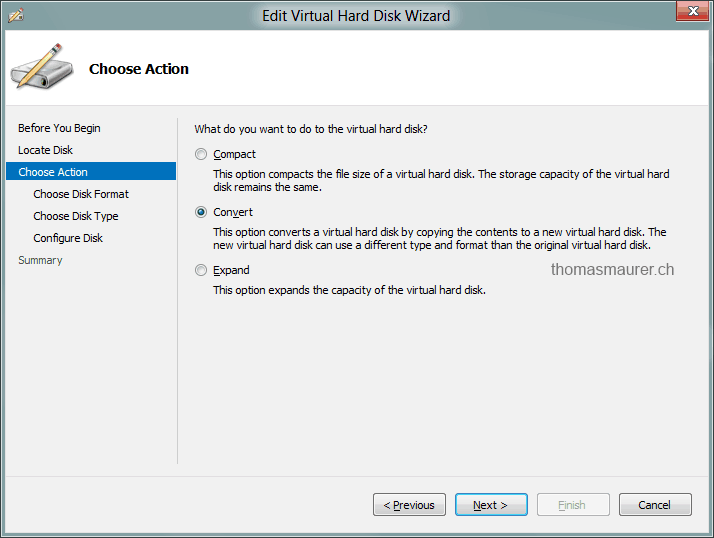 Aviraj Ajgekar already did a post on this TechNet blog about how you can convert a VHD to VHDX via Hyper-V Manager. 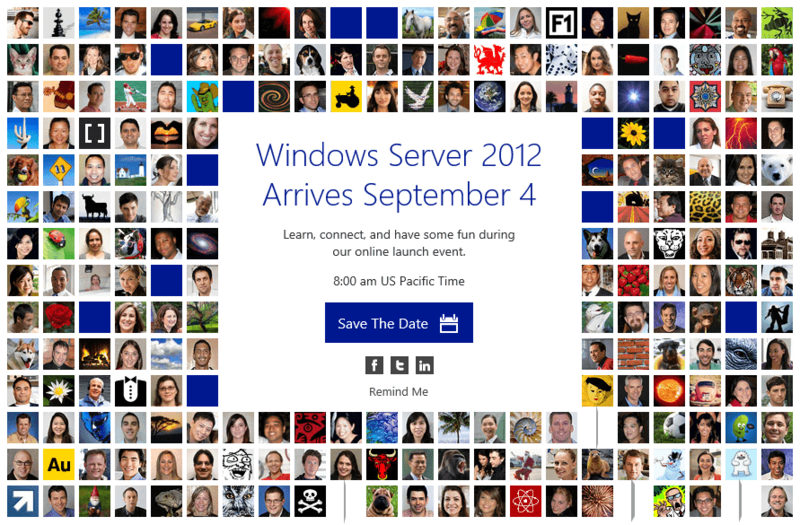 Microsoft worked hard on the management of the new Windows Server 2012. 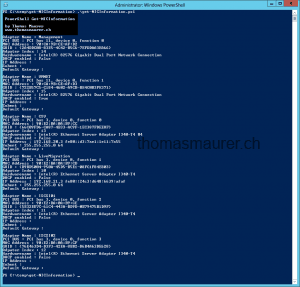 In Windows Server 2008 R2 you had to choose during the Installation if the Server is a Windows Server Full Installation (with GUI) or a Windows Server Core Installation (without GUI). 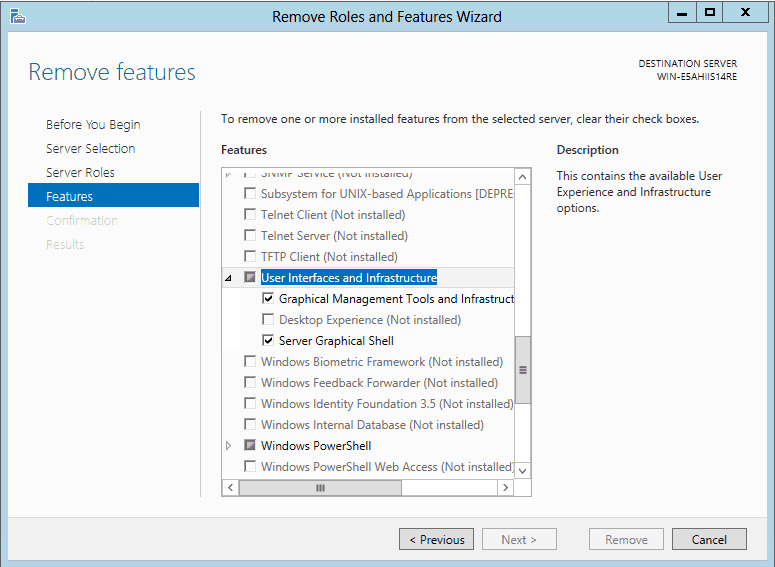 In Windows Server 2012 you can add and remove the GUI from the server. 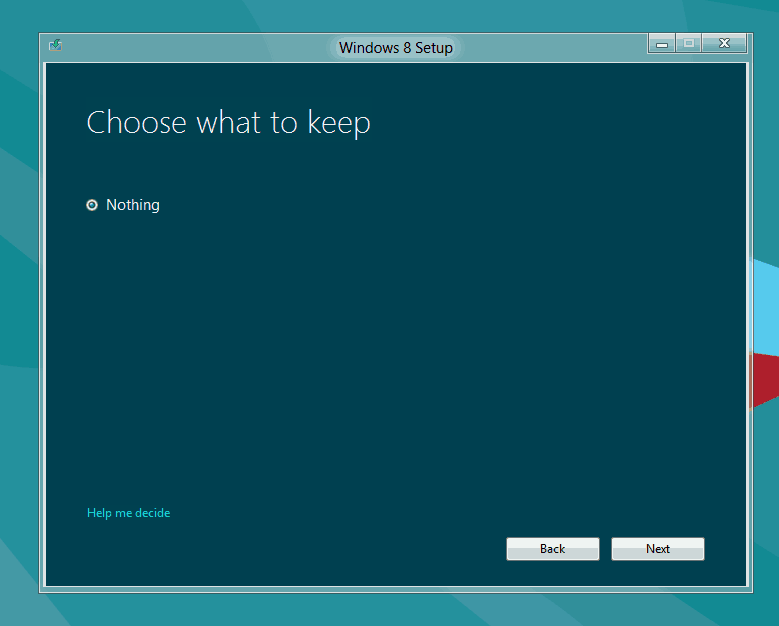 It is also important that you understand that Windows Server 2012 has three different GUI options. So if you activate the GUI you do not get all of the Management tools automatically. You have also to activate the “Management tools GUI”. Big news from the Open Source guys at Microsoft. Microsoft, Citrix and NetApp together with the FreeBSD community announced the support of FreeBSD for Hyper-V. 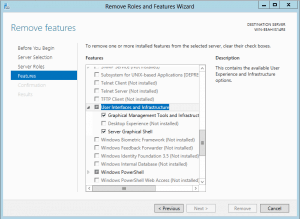 I think this is a very important step to get Hyper-V in a better position. 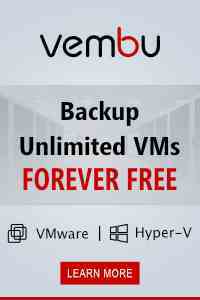 A lot of Hosting providers I know are running FreeBSD machines, and now with the support they can run it on Hyper-V. 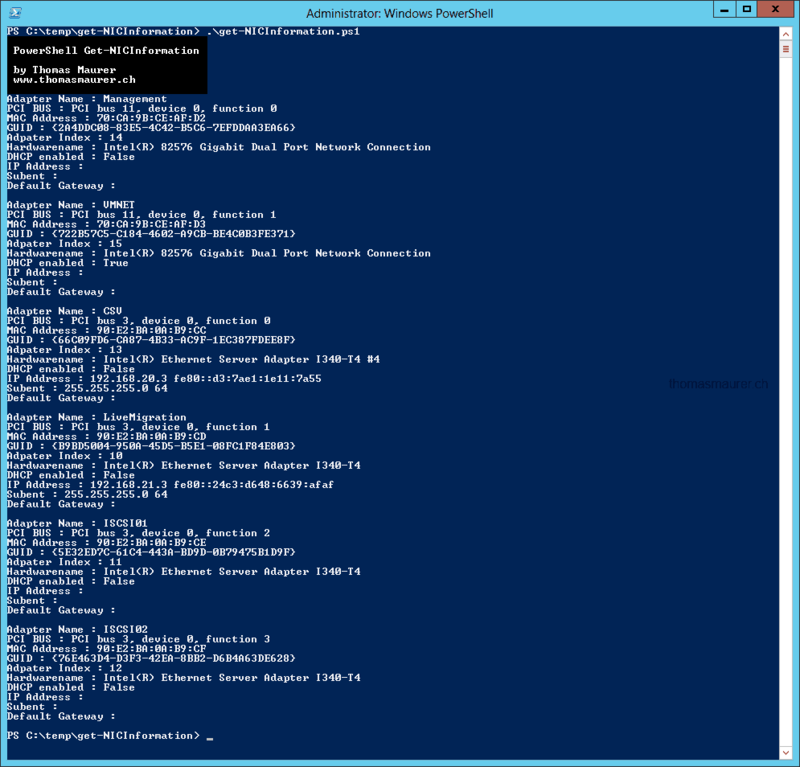 Check out this post about FreeBSD Support on Windows Server Hyper-V on [email protected] blog. 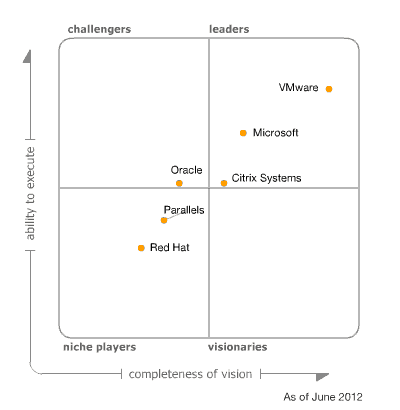 Virtualization technology plays an increasingly critical role at all levels of IT, from the desktop to the datacenter. As more organizations use virtualization to manage mission-critical workloads, they are taking advantage of the cost-saving benefits of server consolidation and building foundations for private, public and hybrid cloud computing. To help customers adopt virtualization and progress toward cloud computing, Microsoft is committed to supporting multiple platforms with its server virtualization solution. Tomorrow at BSDCan 2012, Microsoft and its partners NetApp and Citrix will extend this cross-platform commitment, presenting FreeBSD support on Windows Server Hyper-V. The FreeBSD drivers will allow FreeBSD to run as a first-class guest on the Windows Server Hyper-V hypervisor. The drivers will be fully released early this summer, including the source code for the drivers under the BSD license, and will initially work with FreeBSD 8.2 and 8.3 on Windows Server 2008 R2. For Microsoft the project breaks new ground – it’s the first project in which open source co-development was done with commercial partners like NetApp and Citrix. Also, the FreeBSD community is a new relationship for us relative to other open source communities that we’ve worked with for years. 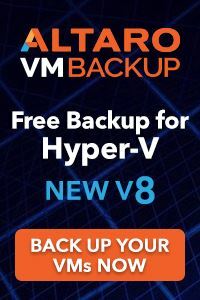 It was invaluable to have partners NetApp and Citrix, both users of and contributors to FreeBSD, be so knowledgeable about how to enable their products to run on Hyper-V with high performance. Given their expertise, they focused their attention mostly on the storage and network aspects of the drivers respectively, but the project was a joint effort in all aspects. Microsoft partnered with Insight Global on developing the VMBUS driver, which is the core that interfaces between the guest operating system and the host Windows Server Hyper-V hypervisor. From the earliest stages the code was intended to be open source, with the goal of incorporating it into the core of FreeBSD. This drove decisions such as using Github as the software development infrastructure. 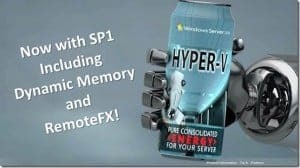 If you are working a lot with Hyper-V and Hyper-V Clustering you know that something that takes a lot of time is configure the Hyper-V Host Network Adapters. First because most of the time you have a lot of NICs build into your host for the different Hyper-V and Cluster networks and secondly Windows names the NICs in a random way and this makes it hard to find out which network card is the right one. 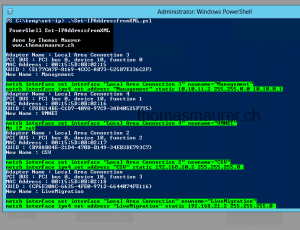 Maybe your first NIC on your Hyper-V Host01 is called “Local Area Connection 2” and on your second Hyper-V Host with the same hardware configuration the “same” NIC is called “Local Area Connection 3”. One of the possibilities to find out which network card is the right one is to check the MAC address of the network adapter. But for this you still have to know which MAC address is on which network adapter port. 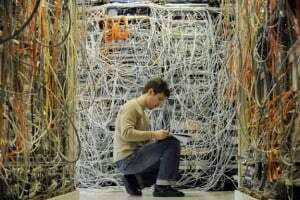 Another way to do it is to plug in the network cables one by one. So you can see which port is active and then you can rename the network adapter. Now some times this one is one of the only solutions, but it takes a lot of time to do this on every host. 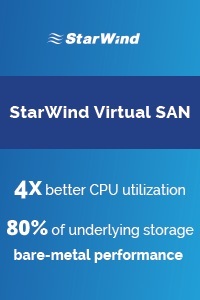 And if you build Clusters up to 16 Hosts you really don’t want to do that. Now there is a solution, you can sort your NICs by PCI bus and PCI slot. 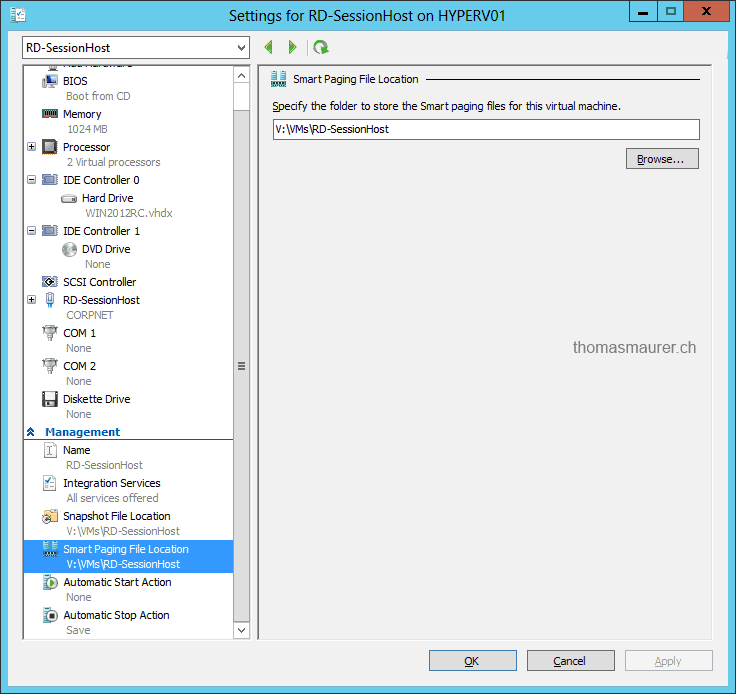 Maarten Wijsman did a blog post how you can do this on the Hyper-V.nu blog. With this knowledge you can start to automate this very easy. 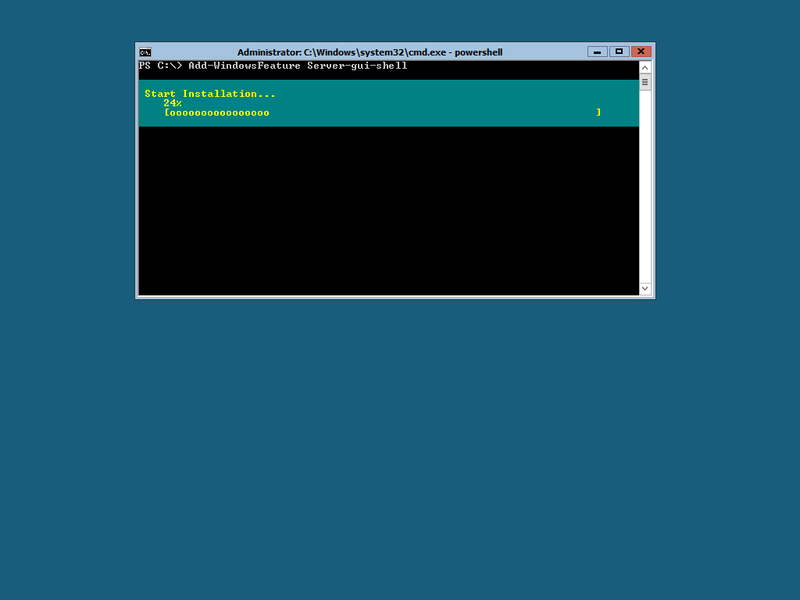 I have created two Windows PowerShell scripts which make my life a lot easier. First I configured the first Hyper-V host and renamed all the Network adapters. If you have a GUI server you could do that via GUI or if you have a Windows Server Core or Hyper-V Server you can do this via netsh. netsh interface set interface "Local Area Connection 2" newname="Management"
If I have done that I use my Windows PowerShell script called Get-NICInformation.ps1 to get the information about the network adapters. Since my other hosts have the same hardware they will have the same PCI Bus order. # (c) 2011 Thomas Maurer. All rights reserved. For the next step I go to my second host. 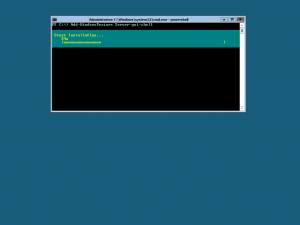 There I have my other Windows PowerShell script (Set-IPAddressfromXML) and a XML file (networkconfig.xml). I edit the networkconfig.xml file with the correct network information. Important here are the id=”” parameters. They are showing the order of the NICs so with Get-NICInformation I can see the Management interface is the first one, so it gets id=”1″, VMNET is the second one it gets id=”2″ and so on. You also set the correct IP Address information for the second host. Most of the time you just have to change the last number. You can also set non static IP Addresses (DHCP), in my case I did this for the VMNET adapter which will be used by the Hyper-V Virtual Switch and does not need a IP address. After you have done this, you can now simply run the Set-IPAddressfromXML script. This will use the Information from the networkconfig.xml file and will rename all network adapters and will set the correct IP addresses. 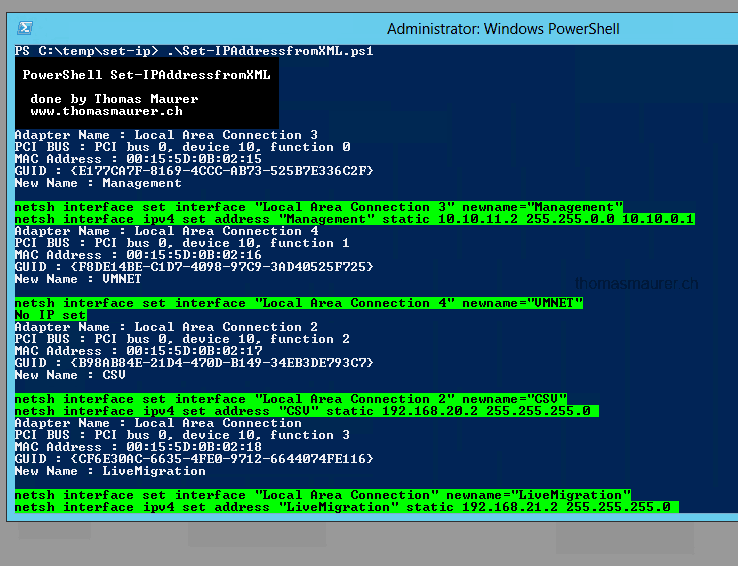 I can now copy the Set-IPAddressfromXML.ps1 and the networkconfig.xml to each Hyper-V hosts and edit the IP Addresses in the xml file, run the PowerShell file and I am done. 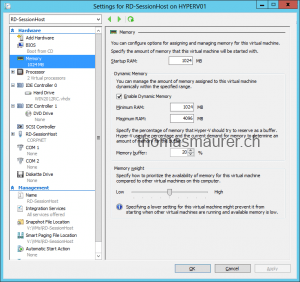 Do this for all Hyper-V Hosts. It works for both because it’s not done with PowerShell v3, maybe I will update it to get it even better. I do not support this script, and you are running it on your own risk.